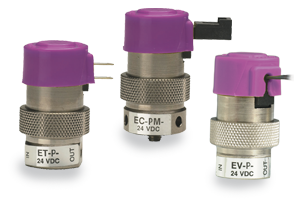 Controllability and overall value are the main features of the EVP Proportional Valve Series. The valve may be controlled using DV current, open- or closed-loop control, and even PWM (Pulse Width Modulation) to cover a broad range of applications. The EVPD Proportional Valve Driver fast-tracks valve-control applications. This product is ideal for laboratories and OEM product development, and can be customized to fit OEM applications including control parameters. 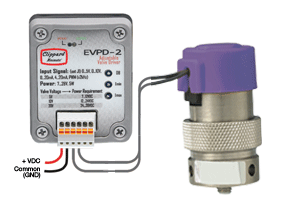 The EVPD produces driver current for Clippard's EVP series valves proportional to input control signals. • Linearized valve response right "out of the box"